Hey everyone! Thanks for coming to this stop of the 2014 Contemporary Scavenger Hunt! I'm hosting Paula Stokes, the author of The Art of Lainey. Soccer star Lainey Mitchell is gearing up to spend an epic summer with her amazing boyfriend, Jason, when he suddenly breaks up with her--no reasons, no warning, and in public no less! Lainey is more than crushed, but with help from her friend Bianca, she resolves to do whatever it takes toget Jason back. Using The Art of War to catch a guy is great! If you could go back to high school and use some of these skills to catch your high school crush, which do you think you'd utilize and why? I would use the tips that involve attacking from a position of power and utilizing spies and allies. One of my high school crushes flirted with me for months (I played the long game back then). Just as I was working up the nerve to tell him I liked him, one of his friends took pity on me and was like “Yeah…did you know he has a girlfriend who goes to a different school?” If only I’d had a good spy in place, I could’ve spent all those months studying instead of scribbling emo poems in my notebooks. Attacking from a position of power is all about realizing what you have to offer. You can’t crawl up to a guy and be like “Oh hai, I am kinda average-looking and awkward and prone to emotional outbursts. Wanna date?” Doesn’t work. If I could do it again, I would rock my strengths. Why is Lainey figuring out who she is so important to the plot? What advice would you give to teens trying to find themselves? It’s, like, the whole plot. Lainey, like so many people I knew in high school and college—male and female—starts out as kind of this amorphous blob who takes the shape of people around her. Yeah, she’s bratty, but she’s picked up that habit from her friend Kendall. She’s also really kind and supportive too—you never see her be bratty to her pal Bianca or her brother Steve. 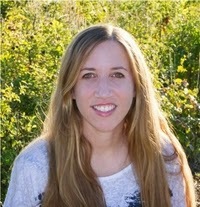 She doesn’t know who she is, aside from loving soccer, so it’s tempting for her to be what other people want her to be. Bianca accepts her the way she is, and Micah indirectly challenges her to be better. Through her interactions with them over the course of one summer, she begins to realize the person she thinks she is and the person she wants to be aren’t necessarily the same. Tell us about the cover! How much input did you get? I feel like the girl is a good representation of Lainey and the tone of the cover fits the tone of the book. In retrospect, I kind of wish I had gotten a girl and boy kissing cover, but that’s a hard photo to find when your love interest has a mohawk :-) I wasn’t consulted ahead of time and didn’t see any mockups or anything, but I did see the cover over a year in advance. What can you tell us about the project you're working on now? I’m finishing up the first draft of BAD LUCK CHARM, which will come out in spring or summer of 2016 for HarperTeen. It’s the story of a girl who has reason to believe she’s unlucky, specifically that she reflects bad luck onto those around her. Therefore, she constructs this lonely but safe hermit-like life, which is working out until her mom forces her to get involved at school. She finds herself on the tennis team where she attracts the attention of a boy tennis star who doesn’t believe in bad luck. They team up to “test her curse” with both predictable and unpredictable results. I’m also getting ready to revise VICARIOUS, which will come out through Tor Teen in late 2015 or early 2016. It’s the story of a high-tech Korean stunt girl who searches worlds both real and virtual to find her missing sister. It’s dark and lyrical, once again the complete opposite of everything else I’ve written. What's the last book you read that you really enjoyed? Why? SINNER by Maggie Stiefvater. Cole St. Clair was my favorite character from the Shiver trilogy. SINNER was a long book that was mainly character driven (which is not my normal thing) but Cole and Isabel were so interesting and flawed to me, I raced through the book in a couple of sittings. Sometimes you like it when a book surprises you, and other times you are comforted when a book plays out exactly as you expect. SINNER was one of those comforting times. You seem to go on a lot of adventures yourself. Why do you think it's important for people to go new places and experience new things? I don’t necessarily think it’s important for everyone. I have lots of friends who have never left the Midwest and think the fact I’d pay 200 bucks to jump out of a plane is completely absurd. Me personally—I have always been a collector of experiences instead of things. I don’t have any iGadgets or a fancy car or anything material I would miss if it burned up in a fire. I spend my limited extra money on travel and experiences because that’s what brings me joy. If a 62 inch plasma screen brings someone joy, then by all means they should go for it. If you’re a writer, I recommend “getting out there” because expanding your world gives you new material. Whether you’re kissing a baby alligator on a riverboat cruise in N’awlins or meditating in a Buddhist temple in Thailand, those experiences will change the way you think, which will change the way you write. @pstokesbooks. Check out The Art of Lainey on Goodreads. i like contemporary ya books (especially the sweet and romantic ones) because i can depend on them for happy romantic ending and they just make me smile and happy after i finish reading it. I discovered Paula Stokes recently and haven't read any of her books yet. However, they ALL sound so amazing. Lainey sounds so relatable. I can remember being a teen and being dumped by a guy! Plus, the whole figuring yourself out theme is one I can totally relate to still, even though I am no longer a teen. I have become a fan of Paula's even though I haven't read her books yet because she is so amazingly nice to her fans online and interacts and her books sounds AMAZING! All are on my TBR and I can't wait to read them all! I'm already eager to read Liars, Inc and that doesn't come out for months!! I've heard so much about this book and all my my friends love it!! I've heard great things about TAOL and I'd love to give it a read. Sounds like a lot of fun and the MC sounds interesting. Great interview! I especially love what Paula said about travel not being important for everyone, and I think it's awesome that she collects "experiences instead of things". :) Thanks so much to you both for participating in the scavenger hunt! 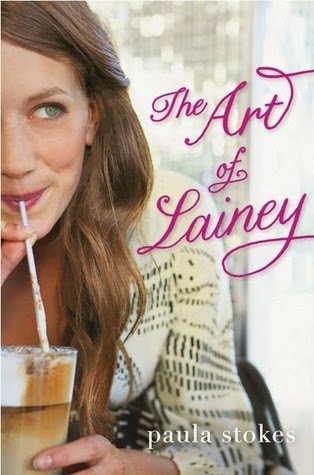 I want to read The Art of Lainey because I've been seeing amazing reviews so I thought to check it out. I loved the synopsis of the book. Overall, I think it's a cute story and I love that!